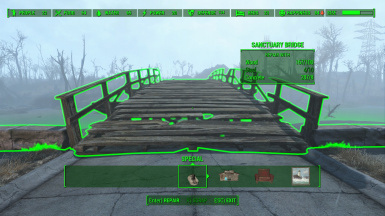 Use the workshop to restore Sanctuary's houses and bridge to their former glory! Compatible with existing settlements. 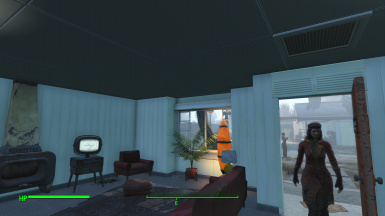 Version 1.3 adds new, more wasteland-appropriate textures to repaired houses. It also fixes an issue where houses might not register as repairable. 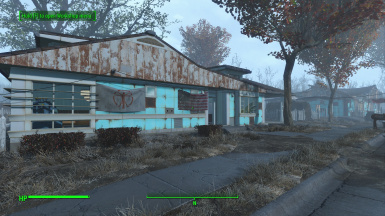 Sanctuary's settlers don't seem to be making much progress on fixing those houses. If you want a job done right, do it yourself! 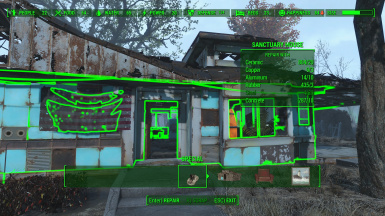 This mod allows you to repair Sanctuary's houses using the workshop interface, restoring their roof and outer walls and cleaning the interior. You can also fix the bridge. These repairs can be performed on an existing settlement without trouble - collisions and navmeshes take the new structures into account. I highly recommend using debris-removal mods like Spring Cleaning, since skeletons and trash piles tend to bring down real estate values. Please be aware that this mod's startup script deletes the original houses and spawns replacements. Uninstalling it will permanently remove them. This is an unfortunate necessity in order to prevent the infamous Cell Reset Bug. Until Bethesda patches this issue, this is the only way mods like this can work. Since pre-War interiors don't exist for the neighbors' houses, the models had to be cobbled together from multiple existing nifs. Inner walls will still have some holes, but at least they're clean now! Other consequences include a few un-removable loose or bent panels on exterior walls. One house in particular has an odd inconsistency in number of doors between pre- and post-War models. 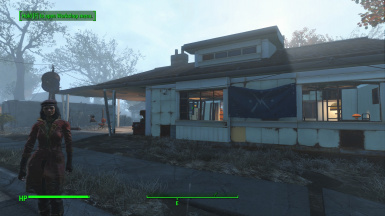 Even after the houses are fixed, some settlers might keep hammering. They're kind of stupid that way.